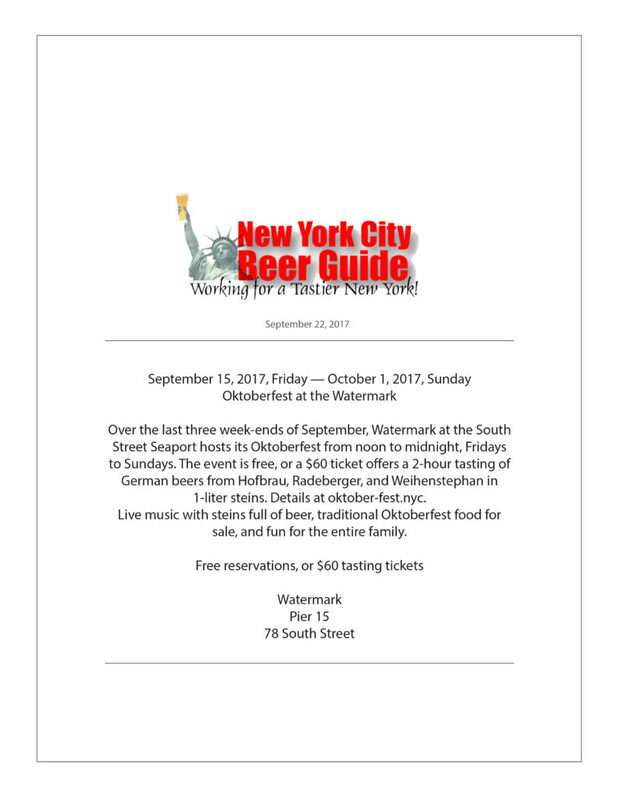 Over the last three week-ends of September, Watermark at the South Street Seaport hosts its Oktoberfest from noon to midnight, Fridays to Sundays. The event is free, or a $60 ticket offers a 2-hour tasting of German beers from Hofbrau, Radeberger, and Weihenstephan in 1-liter steins. Details at oktober-fest.nyc. 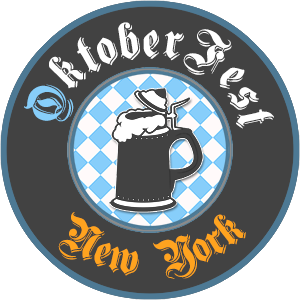 Live music with steins full of beer, traditional Oktoberfest food for sale, and fun for the entire family.